Most of internet browsers temporarily stores some website information such images, videos, scripts, css and etc. to speed up browsing. These contents cannot be easily retrieved by user because it resides on a distant folder. 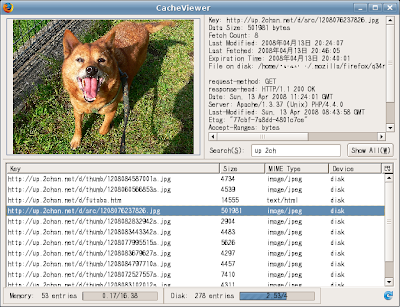 With CacheViewer Add-On, you can grab any of these contents from Firefox cache. 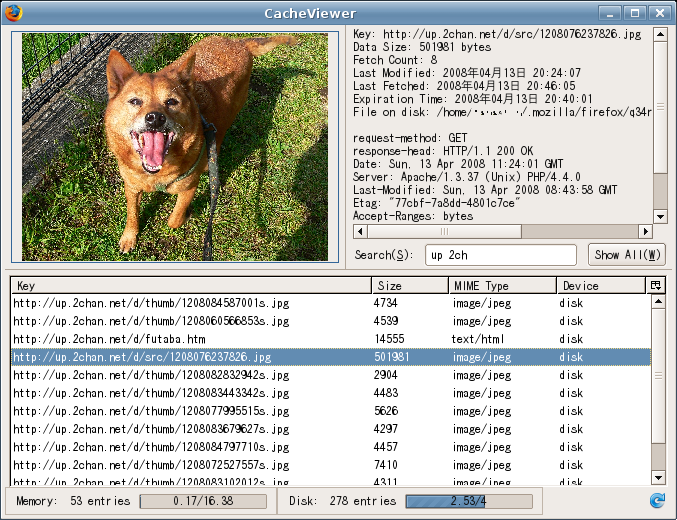 Once installed, user will be provided a GUI interface to browse and save the contents of browser's cache. On the CacheViewer interface you will see the list of cached contents. You can right-click each of them and save it to your preferred location by clicking the Save As button. I tested it on Firefox 3.6.12 running on Windows 7 x86 operating system.